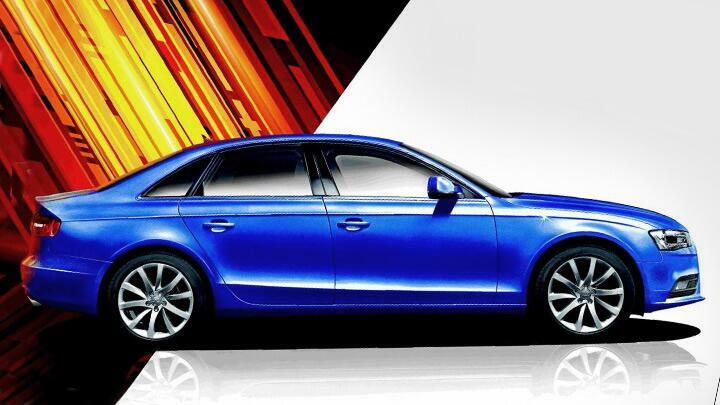 Hot on the heels of the Mercedes C-Class 'Edition C' comes the limited-run Audi A4 'Celebration Edition'. Merc was celebrating 10 million C-Class' on the road with the launch of the Edition C. Not sure if Audi's marking the sale of 10 million A4s with this new variant, but hey, let's just celebrate, ja? The feature list of the Celebration Edition won't give you much to celebrate about, though - as compared to the standard A4, this version misses out on cruise control, Audi's Drive Select, front parking sensor, and the co-driver's seat isn't electrically-adjustable. However, you do get goodies like bi-xenon headlamps, bluetooth-enabled stereo, powered driver's seat, and a rear parking sensor. The Celebration uses a 2-litre diesel engine, but it's not the uprated 174bhp unit. Instead, it is the old 143bhp motor, paired with a CVT gearbox that sends power to the front wheels only. What does give you a reason to celebrate though is the price. The Celebration A4 is priced at Rs 25.99 lakh (ex-showroom, India). Who's betting on a BMW 320d 'Festive Edition' hitting shelves sometime soon?